Thursday March 21st I’m performing a special version of Atrophy in Ulvik, Norway. Olav H Hauge was one of Norways most important and beloved poets of the 20th Century. He lived his whole life in a small western fjord town called Ulvik, working as a gardener in his own apple orchard. His works have a strong connection to western Norwegian nature and culture, at the same time also referencing both contemporary, modernist western as well as ancient eastern philosophies and traditions. Personally I find his poems superbly “Norwegian”… they say so much, with so few words. I find in general his poetry quite impossible to translate into other languages without loosing a lot in translation, or having to rewrite one sentence as a whole chapter. The short, direct imagery also lends itself very well to music. For World Poetry Day on March 21st at Haugesenteret, I’ve created and will be performing a specially adapted version of my book symphony Atrophy In The Key Of Dreaming Books. 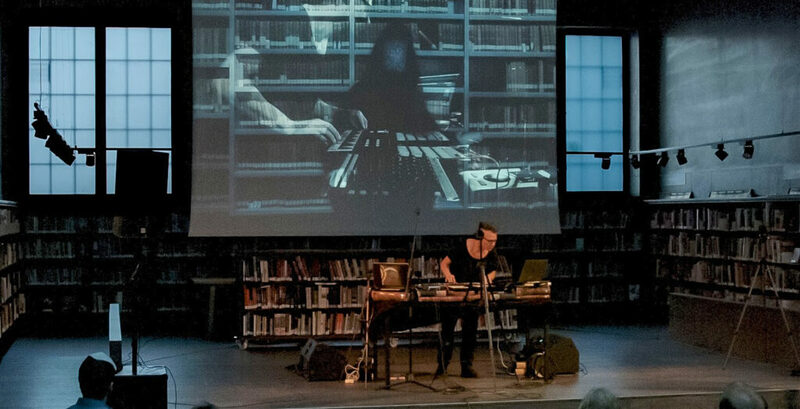 This version integrates vintage sound recordings and samples of Olav H Hauge reading his own poems within the musical work, creating a sonic-poetic mashup of music, books, libraries, electronica, poetry and philosophy. This is a one-off special edition, performed live in Hauge’s hometown Ulvik, at the Olav H. Hauge Center on Brakanes near Ulvikafjorden during their World Poetry Day event. The center also includes an exhibition, library of poetry, poetry workshop and museum highlighting the poet’s life and work. Thursday March 21st, 19:00, Hauge-senteret, Ulvik Norway, link to event and tickets.